The Florida Limited Partnership can similar to a LLC in control when its members manage the LLC. If the Florida LLC is manager managed there can be significant differences in the control of the company in much the same way as with a Florida Limited Partnership. Unlike the Limited Partnership, a Florida LLC does not require that one partner, the General Partner, be personally responsible for the debt of the business entity. In addition, there is no risk of becoming liable by participating in the management activities of the LLC. The Florida LLC can be different in respect to the tax effects. If you select the default tax treatment for a Florida Limited Liability Company the members are taxed the as if they had a Limited Partnership or based upon their percentage of ownership. This can be changed in a LLC Operating Agreement if different allocations of profits and losses are desired in respect to the actual membership interest. The differing allocations are only available when the Florida LLC has not chosen to be taxed as a S-Corp. When taxed as a partnership, the income of the LLC will "Pass Through" to the members and they will be taxed as if they had earned the income themselves. A significant tax advantage of the Florida LLC over the Limited Partnership is that the Florida LLC has the option to be taxed as a S-Corp. This is accomplished by filing an S election with the IRS in the same manner as with a Corporation. While a Florida Limited Partnership offers its limited partners potential protection from liabilities of the business entity, a Florida Limited Liability Company will provide protection of the members' assets from company liability. In addition, if the Florida LLC is structured properly, the business assets can be protected from the personal liability of the members or owners. 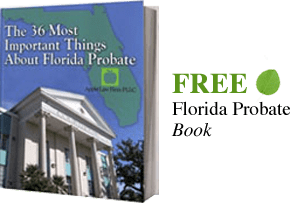 One's ownership of an Limited Partnership has a greater chance of being at risk in the case of personal liability than that of a properly structured Florida LLC. The Florida LLC requires is generally less complex to operate than the Florida Limited Partnership.